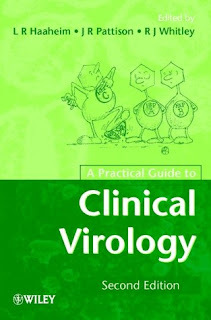 This Second Edition of A Practical Guide to Clinical Virology is a practical, highly illustrated, quick reference guide to clinical virology. It brings together the essentials of the subject in a entertaining and informative style, describing in turn the clinical features, the symptoms and signs of each of the viral diseases, as well as summarising the epidemiology, laboratory diagnosis and therapy in each case. This book also includes general chapters on classification, diagnosis of infection, antiviral drugs, vaccines and different clinical syndromes. Each chapter is easy to read and well organised, ensuring that this is an invaluable textbook for all medical, biomedical, microbiology and applied biology students. In addition, it provides an excellent reference for nurses, occupational health and infection control departments, public health and diagnostic laboratories.